In business, timing is everything. Having the right information at the right time means you can meet opportunities and overcome obstacles with confidence, knowing you've got the best information and advice on your side. To help you do this we equip you with the best accounting software available; software that gives you a real-time picture of your business’ performance while allowing us, your accountants to work right alongside you – via the Cloud. Xero has started a revolution in the accounting industry. It’s cloud-based accounting software removes the friction of traditional desktop accounting software, enabling us to work more closely with you regardless of location. With Xero’s easy to use reports and award-winning bank reconciliation process, your accounts and reports never looked so good! It’s no wonder they call it “Beautiful accounting software”. Try it yourself - for free. If you’ve used Internet Banking or eBay then you’ve already used Cloud software. It simply means software that runs in your browser via the Internet. Xero uses bank-grade security to ensure your accounting data is kept safe and backed up at all times. In fact storing your data in the Cloud is often safer than storing it on a server or laptop which can be stolen or destroyed in a fire or earthquake. 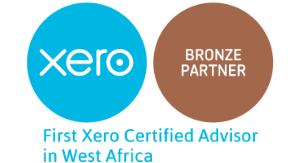 Xero is a New Zealand based publicly listed company with over 1,000,000 users worldwide. Founded in 2006 it is listed on the New Zealand Stock Exchange and the Australian Securities Exchange. Xero has offices in the United States, United Kingdom, Australia and New Zealand. You can learn more about Xero on their website www.xero.com.